Our commitment to breeding at Cannon River is one of our top priorities. 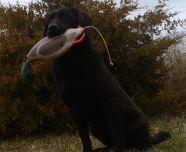 We look for the combination of both family/ hunting bloodlines to make certain that each dog meets the owners expectations both at home in the field. 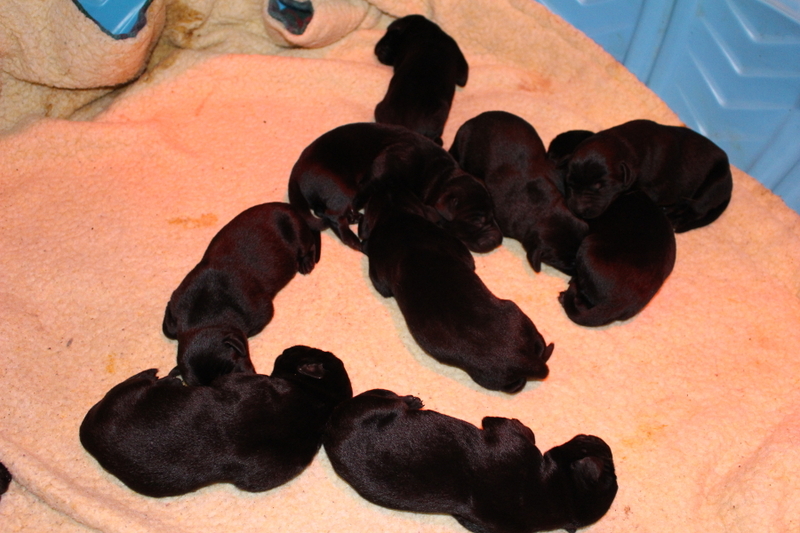 Our puppies come from dogs with quality hips, eyes and elbows to help ensure our dogs will be healthy. A full health guaranty is included with all of our breeding. All pups are whelped in a family environment and leave our place at eight weeks already retrieving live birds! A complete letter of Puppy Tips is included with each dog to help the new owner continue on the right path for their puppies development. 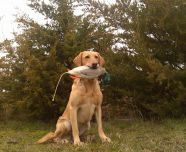 This is a 3 time breeding for Sadie X Diesle. Master Hunter sire and guide experience dam. Old school looks athletic build. Great hunting dogs but also family dogs. References avalible call for yours today. DOB 7/7/17 All Black.